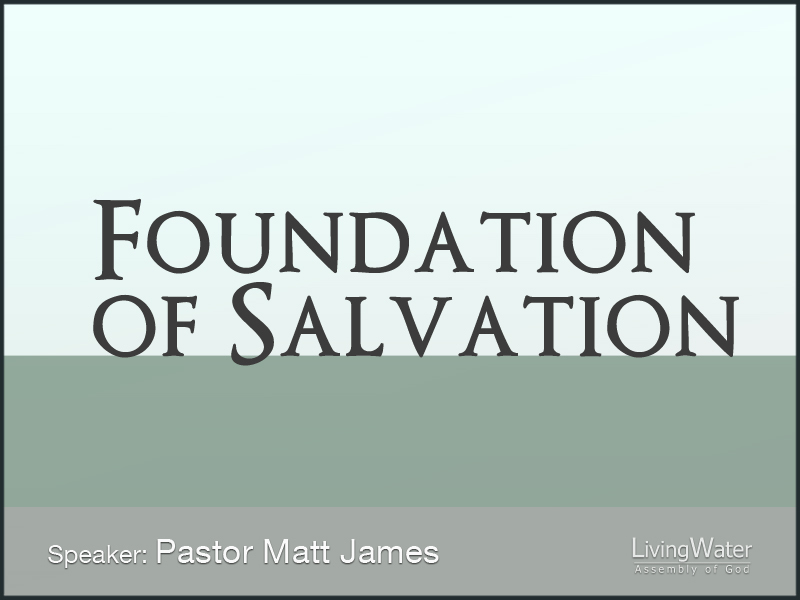 Theme: Jesus is the foundation of our faith that we build our lives upon. Illustration: Todd is an excellent concrete finisher. He holds his crew to a high standard of workmanship. He wants people to know that his work is good. With his good name many people will put their trust in his work. In chapter 10 Paul puts down a great foundation to give us complete confidence in the quality of work that Christ accomplished on the cross. Opening: God wants us to know that our salvation is securely kept in the excellence of our Savior. Paul opens this chapter with the familiar heart’s cry that his brothers would be saved and then turns and confirms that our salvation is true. Romans 10:1-13 The Israelites missed the point of the Law but God revealed it to us through Christ. Our passion for God should center on the work that our Lord completed on our behalf. The Israelites had God and all His Glory but they lost the purpose of the Temple. We have altars at the front of the sanctuary but they are not here for looks, they have a certain purpose. The Law was there to show us our weaknesses so that we would put our trust in the quality of God’s character. James 4:7-10 Humble ourselves to the goodness of God and God will lift us up to life. Jesus accomplished our salvation like only God could do. Righteousness comes by doing the things that God does so He gave us a list of things that He does so we could be like Him. So just go do it, right? Romans 3:10-18 Human nature is so immersed in sin that it is impossible for a person to even come close to the character and goodness of God. So to think that we can accomplish salvation for our selves then we bring Jesus down to our level. And if we think that we can pay for our sins by our own lives then we rob Jesus of the power of His death. 2 Kings 5:11-15 Putting our faith in God’s Word is what God requires of us. It is not our accomplishments for God, it is our trust in God. The purpose of our salvation is so God could bless us beyond our greatest fears or our wildest dreams. God did not reveal Himself to us just so He could send us to hell or make our lives a living hell. 16:13-19 God revealed the glory of His Son to us so that hell could not take us! So that the Church of God would be established forever. So that His people would establish justice and righteousness here in our lives and in the Church. That forgiveness and mercy would consume our lives and bring others to repentance. We have received Christ so we could reveal Christ to the world. 22:15-18 Through Christ God accomplished the blessing of our salvation! This is why God richly blesses everyone who calls on God through Jesus. John 14:1-4 God has revealed the full blessing of our salvation in the scriptures and we should put our heart on those promises. Closing: Because our salvation is so secure in the quality of our Savior’s work it is our act of worship to respect His character by receiving His character. God secured our salvation in Christ so we could build our lives in righteousness living on the good work of Christ.